One Republican PAC reshuffled their spending and it’s being portrayed by many in the media as the beginning of the end of the House majority with U.S. Rep. Mike Coffman as one of the casualties. A super PAC called Congressional Leadership Fund cancelled a planned TV buy for Coffman and another congressman — the Coffman ad buy was nearly $1 million. Sounds ominous, unless one takes this into consideration the Republican leadership PAC cancelled the buy after the Democratic leadership PAC axed nearly $800,000 in planned TV ads for Crow. Also, while the GOP leadership PAC reshuffled money from Coffman to another race in more need, the national party kicked in $600,000 for an ad buy in Coffman’s district. By our math, Coffman is up by $400,000 while Crow is down by $600,000. 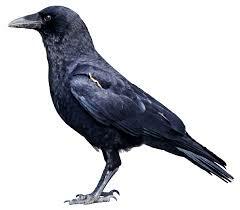 If anything, it looks like Democrats are abandoning Crow. It’s amazing to us that when Crow’s money is cut, the media spin is that Democrats are confident he will win. But when money to Coffman is pulled and replaced with other money, they say it’s because he’s losing.